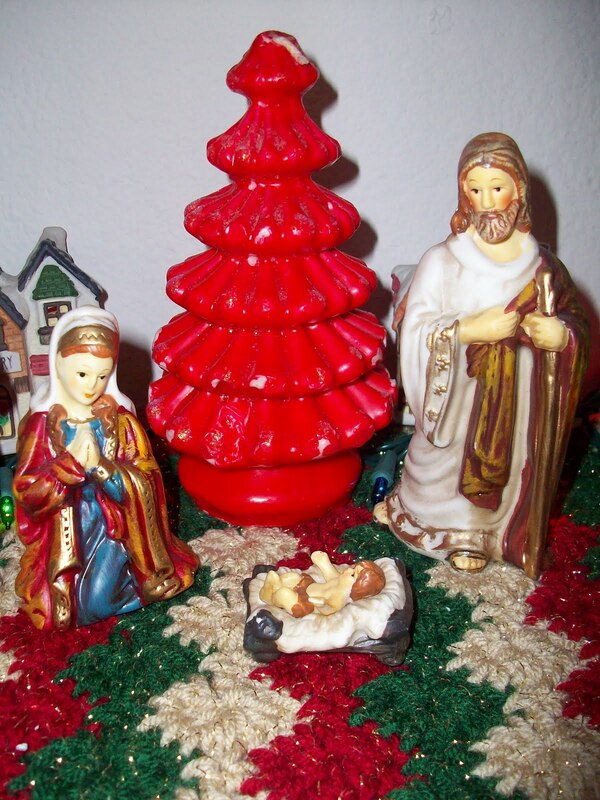 The red Christmas Tree Candle has been in my family as long as I can remember. I am glad that I still have it in my possession. At one point my mom gave me a bunch of Christmas ornaments, over the years I have come to cherish them. So meaningful to have something like this from childhood. Your photo turned out nice. Christmas always holds so many fun childhood memories, doesn't it? :) Nice photo. What is that lovely pretty they are sitting on? The red, green and white sparkle... looks like crochet poinsettias!! Thanks!! How special to have a Christmas memory linked to so many generations! wow..very nice Christmas memories.Thank you so much for sharing this interesting blog.